The girls and I were blessed to meet with my friend Terry one evening to hear about Guatemala from her trips and perspective. Terry is a friend from high school that I recently was able to re-connect with. 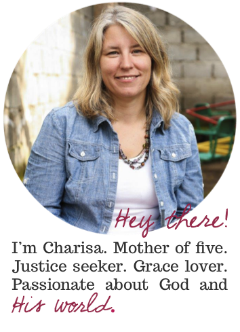 Terry has a huge heart for Guatemala and goes over several times a year to work in whichever way she is needed. Terry is blessed to be able to work with Impacto and Kairos. We were grateful for all of the tips and heads up that she gave us. After a good meal at Baja Bean and some laughter—we felt more prepared. The girls and I are going with Forever Changed International. Click on the link to see more about them and pictures of where will be. They have mission trips open now for you to join! I also just found that we will have internet access while there so I am hoping to update you with pictures and stories! I've always wanted to go to Guatemala! I hope you have a great time there, and I can't wait to hear all about it! This is awesome! I pray you have a blessed trip. I used to work with a non-profit that worked closely with Kairos and it is a great organization! Bags Packed & Ready to Go!! Do You Need a Roof? Love Is Not A Color Winner!